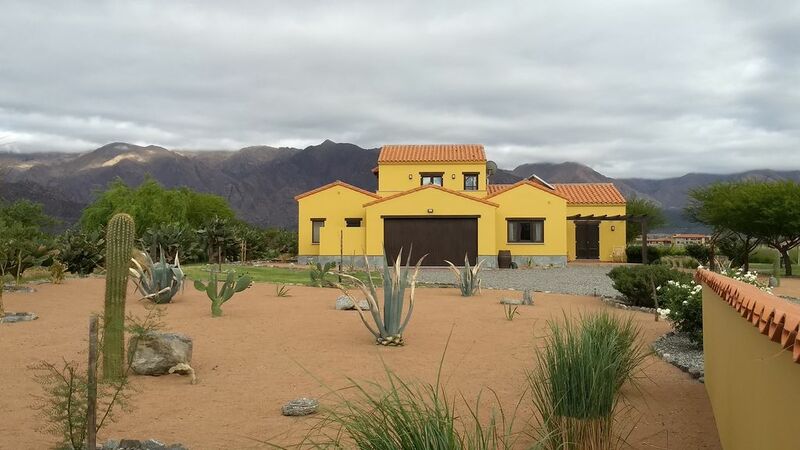 Open large 2 bedroom house on a scenic private cul-de-sac lot of almost 3/4 acre in the exclusive La Estancia de Cafayate Wine and Golf Community. Surrounded by Malbec vineyards front and back as well as Andes mountain views of more than 330 degrees from the upper floor balcony, this house is a perfect place for a quiet vacation retreat. Large 3/4 acre lot with xeriscaped (minimum water usage) desert landscaping. Fully stocked kitchen, bedrooms, includes washer and dryer, sheets, towels, ready to go.